Cambridge University Library has announced visionary plans to become a digital library for the world - following a £1.5m lead gift pledged by Dr Leonard Polonsky. Home to more than seven million books and some of the greatest collections in existence, including those of Newton and Darwin, the Library will begin digitising its priceless treasures to launch its Digital Library for the 21st Century. University Librarian Anne Jarvis said: "Our library contains evidence of some of the greatest ideas and discoveries over two millennia. We want to make it accessible to anyone, anywhere in the world with an internet connection and a thirst for knowledge. This will not only make our collections available to the world; it will also initiate a global conversation about them. 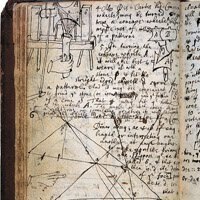 "At the click of a mouse, students or scholars of divinity or politics, history, physics, medieval languages or the history of medicine, will be able to plunge into the worlds of Mediterranean Jewish, Muslim and Christian communities of the 11th Century, or into the minds of Isaac Newton and his contemporaries." Dr Polonsky's generous gift will allow the University Library to set up the essential infrastructure required for this sophisticated digitisation project. The first collections to be digitised will be entitled The Foundations of Faith and The Foundations of Science. The goal for both is that they become 'living libraries' with the capacity to grow and evolve. The Library's faith collections are breathtaking. They include some of the oldest and most significant Qur'ans ever to be uncovered, as well an Eighth Century copy of Surat al-Anfal. The Library also holds the world's largest and most important collection of Jewish Genizah materials, including the Taylor-Schechter Genizah Collection - 193,000 fragments of manuscripts as significant as the Dead Sea Scrolls. Its Christian holdings include an incomparable collection of manuscripts including the Codex Bezae Cantabrigiensis (one of the most important Greek New Testament manuscripts), the Book of Deer and the Book of Cerne. The University Library also holds some of the world's most important records of the development of modern science - including the most comprehensive collection of Newton's papers (heavily annotated copies of Principia, lectures as Lucasian Professor and proofs of Opticks), and those of John Flamsteed and Edmond Halley, contemporaries of Newton, with whom he corresponded. If the project proves successful (further funding is needed and other donors are being sought), the collections of scientific giants such as Charles Darwin, James Clerk Maxwell, and Stephen Hawking could also be digitised, along with other major collections in the fields of humanities and social sciences. Jarvis added: "Faith and science will be the two cornerstones of the project, both of fundamental importance in our quest to understand the world and our place in it. "Thanks to Dr Polonsky, we are at the start of what we believe will be an incredible journey into the digital future. Hopefully his generosity will encourage others to follow his lead so we can make one of the world's great libraries available, literally, to anyone around the world." Dr Polonsky said: "As reading and research become increasingly electronic, my hope is that this grant will serve as a catalyst for the digitisation and linking of the great libraries of the world so that their riches can be enjoyed by a global public."